The Textile Studio is a group of artists whose passion is experimenting with a wide variety of textile-related media. Their work includes hand and machine stitching, feltmaking, fabric printing, dyeing and other techniques, reflecting their individual approach to textile art. The group was originally formed more than 40 years ago and, over that time, has included many textile artists from South London and Kent. There are currently 18 members, many of whom also belong to various other textile groups, with which they exhibit locally, nationally or internationally. Textile Studio members aim to produce original contemporary work and have always been eager to use different materials and try out new techniques, though some have developed a recognisable style in their chosen media. Design is an important element of members’ work, as is sharing ideas and learning from others in the group or in the wider textile world. 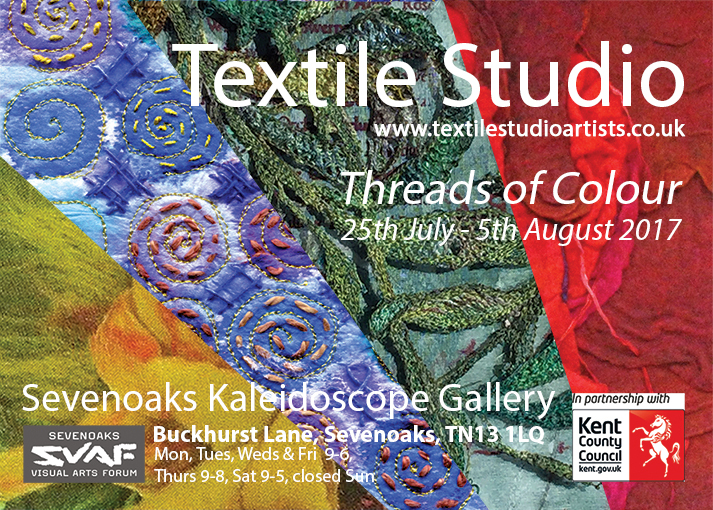 The Textile Studio has exhibited regularly at a wide range of venues in London and the South East. 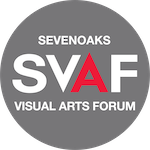 In recent years, the principal exhibition venue has been the Stables Gallery at Hall Place in Bexley and the group will be returning there from 15th September to 15th October 2017, following their exhibition at the Sevenoaks Kaleidoscope Gallery. Meet the artist event 11 – 12 30 on Thursday 3rd August.